I really enjoy surf fishing. Every spring we head to Mexico Beach or St George Island for a few days. 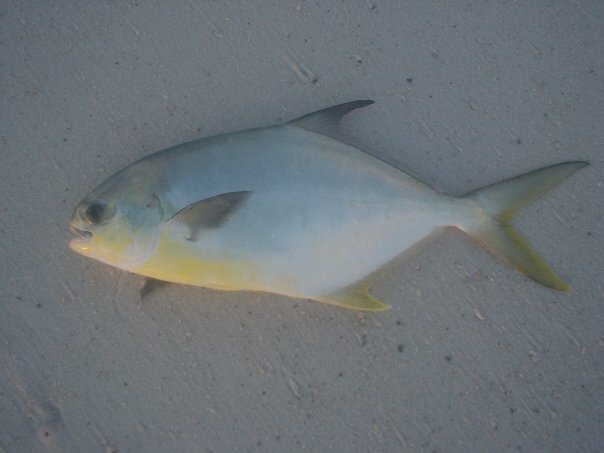 You never know what your going to catch and if your lucky you will be eating fresh Pompano for dinner! 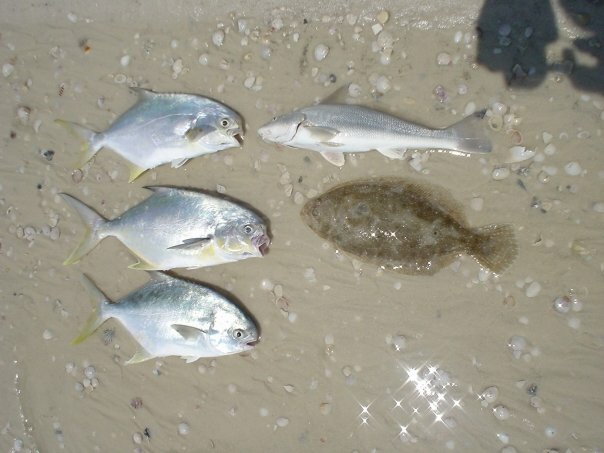 Pompano rigs are double dropper rigs with Kahle Hooks from #1 to 1/0 … here is a photo of the rigs I used. Here is a line drawing that may be a little clearer…. 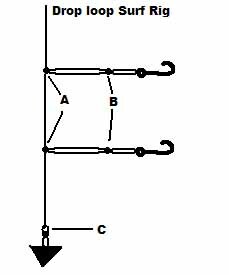 Some have small floats, like the one one the right, to keep the bait off the bottom. Others just have beads at the hooks, like the one on the left. 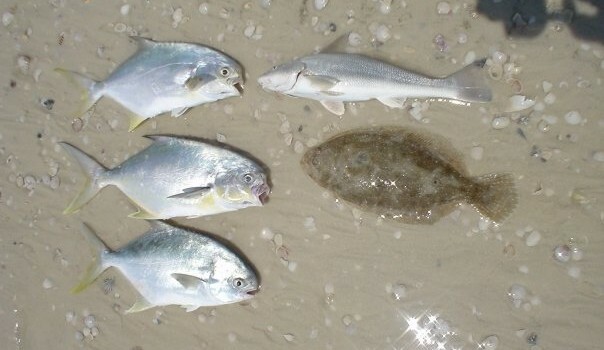 In both cases they are additional attractors- the Pompano are primary sight feeders. I caught an equal number on the one with floats and the one with just red beads. They are tied with heavy 25lb test monofilament. My rods are spooled with 15 lb monofilament. Used 1 and 2oz pyramid sinkers- I suggest using as light as you can use to keep the rig from drifting. 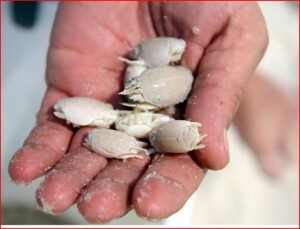 For bait the traditional thing to use is a sandflea- a small crab found in the surf. But I can’t seem to catch a pompano on one! 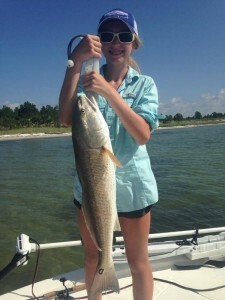 I catch most of my fish on 2 inch pieces of shrimp… you could also bait with squid or small fish. We fish from the edge of the beach. Early in the morning was best- as soon as the surf kicked up the bite stopped. Toss the rig out in the trough between the sandbar and the beach- its probably 50 yards to the sand bar. I stagger one in close, one a medium distance and one out in deeper water. Cast it out, put the rod in a holder, plastic PVC pipe shoved in the sand, and wait till the rod starts bouncing. Be sure to set the drag light enough so a fish does not pull your rod out to sea. One thing I enjoy about surf fishing -You really never know what you are going to catch.